SATURDAY 7th May 2016 from 7.00pm – 9.30pm approx. Tickets £7 each. Ashfield Harmony will be rolling out the red carpet for a programme of music from the world of film when it presents ‘A NIGHT AT THE MOVIES’ at Ashfield School on Saturday 7th May. Many Oscar-winning films will feature, including ‘Titanic’, ‘The Sound of Music’ and ‘Mary Poppins’, Barbra Streisand’s ‘Hello Dolly’ and ‘Funny Girl’ and, of course, no movie night would be complete without something from Disneyland. 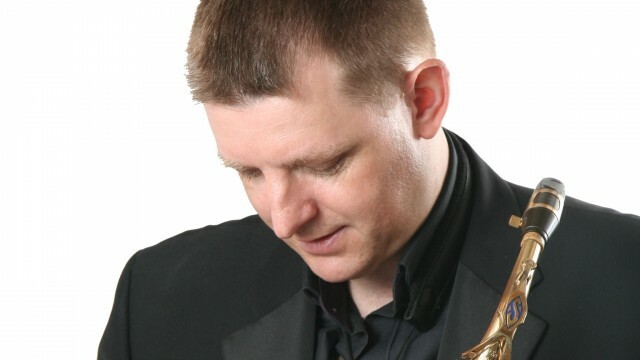 And making his own star-studded appearance, Nottinghamshire saxophonist ALISTAIR PARNELL will be making a very welcome return visit to Kirkby-in-Ashfield. Alistair wowed the audience when he joined Ashfield Harmony for a Concert two years ago and he promises to have a ‘close encounter’ with the audience this time, too. Amongst many film favourites from Alistair, watch out for ‘The Game of Thrones’ theme, music from John Williams (Schindler’s List) and George Gershwin (An American in Paris) and the hauntingly beautiful ‘Gabriel’s Oboe’ written by Ennio Morricone for the film ‘The Mission’. A Saturday night of real entertainment. Ditch the TV and come and join us!